Alpha Kappa Alpha Sorority Celebrates MLK, Jr.
Pictured (L-R): Ms. Debbie Walker, EOA Foster Grandparents Program Director; Ms. Charlene Jones, GSO Program Chairman; Ms. Denise M. Cooper, Esq., GSO President; Mrs. Anne R. Lewis, EOA Board Member; Yvonne Pryor, Inner City Night Shelter Executive Director; Omar Torres, EOA Foster Grandparents Program Coordinator; & Ms. Cheryl Eady, Human Resources Director. Alpha Kappa Alpha Sorority, Incorporated, Gamma Sigma Omega (GSO) chapter celebrated and honored Dr. Martin Luther King’s legacy of service by assisting Greenbriar Children’s Center and partnering with the Economic Opportunity Authority for Savannah-Chatham County (EOA) Foster Grandparent Program to provide socks for the Homeless at Inner City Night Shelter and participating in the 2019 Martin Luther King parade. On January 21, MLK Day of Service, GSO participated in the MLK Day Parade to bring awareness to their 2018-2022 programs of service – HBCU for Life: A Call to Action, Women’s Healthcare and Wellness, Building Your Economic Legacy, The Arts!, Global Impact and its signature program, #CAP. Afterwards members assembled at Greenbriar to help organize donations to be distributed to the children and families. Greenbriar nurtures children and strengthens families through their programs from early childhood education to Independent living, providing a safe place for neglected and abused children. 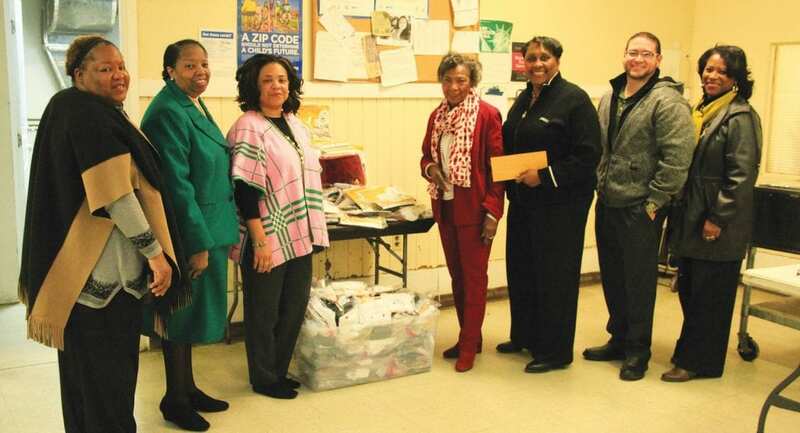 On January 22, 2019, as a result of a Sock Drive, GSO and EOA collected, packaged and donated over 540 pairs of socks to the Inner City Night Shelter for homeless men and women. “Socks are essential to the health and well-being of the homeless; they can reduce the risks of colds and infections while managing moisture and reducing stress”, stated Charlene Jones, GSO Program Chairman. The donation was presented to Yvonne Pryor, Executive Director of Inner City Night Shelter along with a monetary donation. If you would like to donate to Greenbriar Children’s Center or the Inner City Night Shelter, please visit their sites at www.greenbriarchildrenscenter.org or www.icnssav.com.